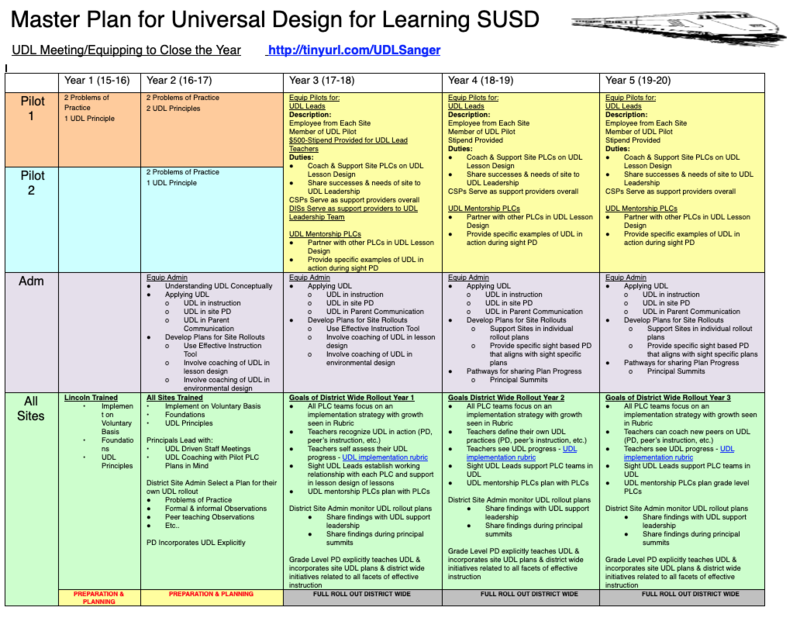  UDL Blog: Current events in the world of Sanger Universal Design for Learning implementation. 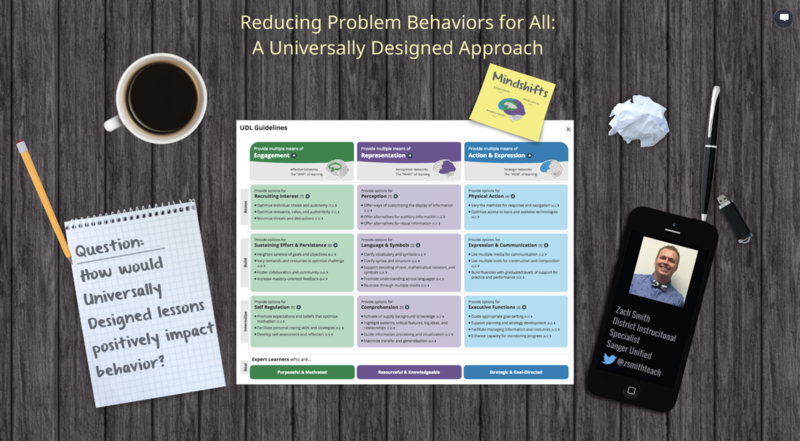  UDL Guidelines: Specific examples of UDL checkpoints in action from across Sanger Unified School District. 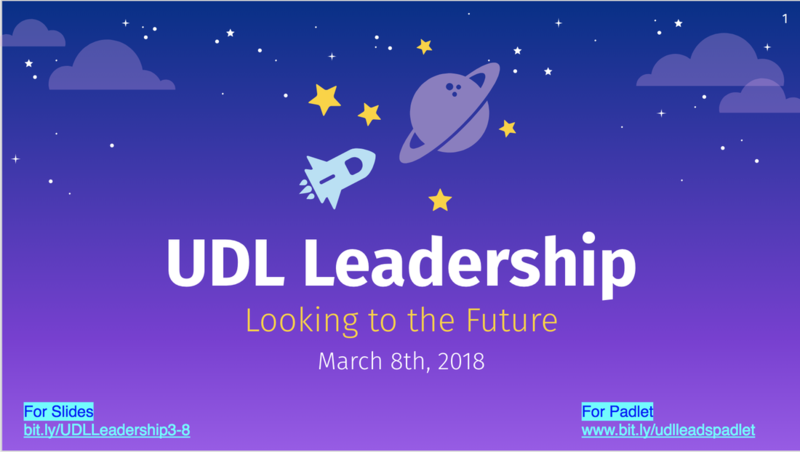 ☕️ UDL Café: This is a shared space for teachers across the district to share universally designed resources, lessons, and units from their classrooms. 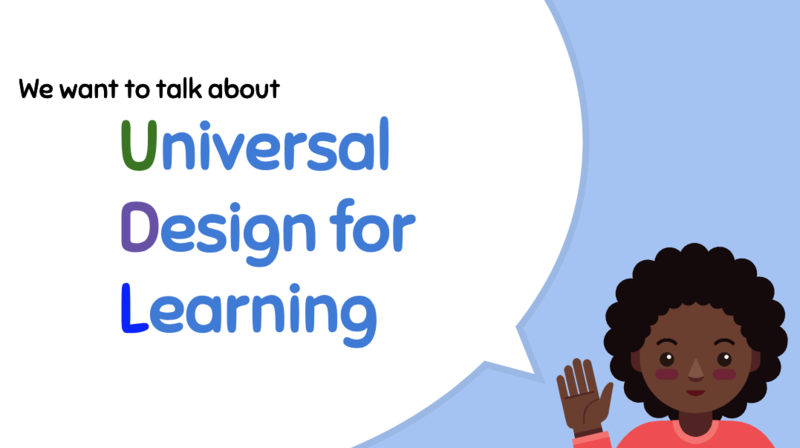  UDL Tools & Resources: A page devoted to tools and resources from across the internet that support great Universal Design for Learning. Click the picture or HERE to review our grade level day trainings. Click the picture or HERE for the slides. Click the picture for the slides. You can also click here!